The world is moving towards electric vehicles. Electric cars are not even drawing attention in the streets anymore, and now several companies are pushing for electric trucks too. They will be silent, cheap to run and yet very expensive. But are there any other green alternatives? Old-school truck manufacturers are already offering CO2 neutral solutions that are ready to go right here, right now. Gas-powered trucks are not a new thing. However, with improvements in infrastructure several companies are introducing new models, marketing them as a more approachable way to eco-friendly trucking. 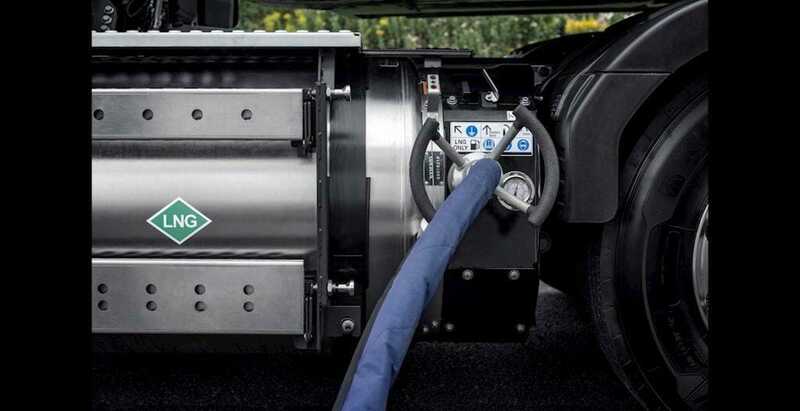 For example, Volvo introduced new FH LNG and Volvo FM LNG models that can run using biogas and liquefied natural gas. Interestingly, in terms of technology these trucks do not follow the path of older gas-powered trucks. While most of gas-powered trucks use OTTO cycle, Volvo opted to stay with the usual diesel engine configuration. 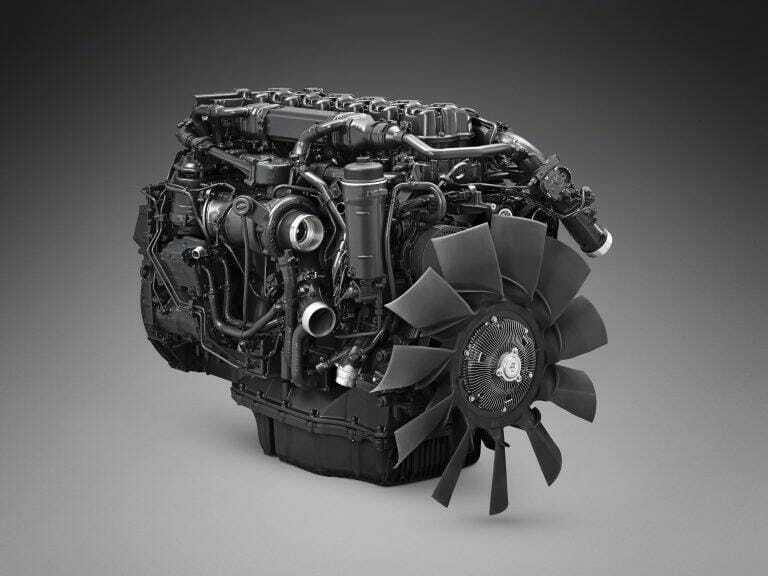 This allowed maintaining power and torque – 460 HP engine, producing 2300 Nm, makes the same figures in diesel-powered trucks. However, LNG trucks are much MUCH cleaner. Volvo says that its LNG trucks will emit at least 20 % less CO2 to the atmosphere. However, this percentage in some way can go up to a 100, if the biogas is used. In that case trucks still do emit CO2, but it is essentially neutral in a way, because that CO2 was absorbed before producing the gas. In other words, no new CO2 is introduced to the environment. But Volvo is not the only manufacturer that had this idea. 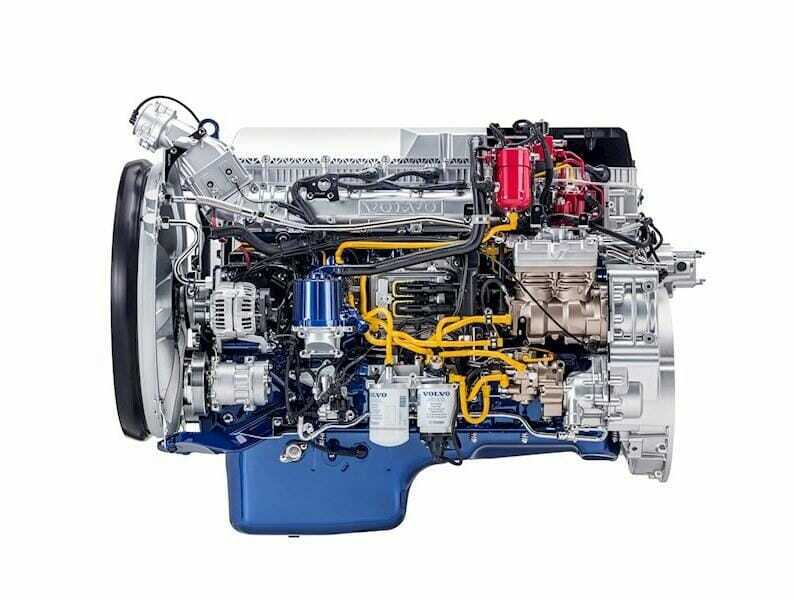 Scania introduced its new gas-powered truck engine virtually at the same time as Volvo. However, the 12.7 litre engine, called OC13, is using the OTTO cycle, which makes it extremely reliable. It is a little less powerful – makes 410 HP and 2000 Nm of torque. However, servicing is done less frequently and it can run on both LNG and CNG. Scania says that it emits at least 15 % less CO2 that diesel equivalents, but the impact on the environment is mostly decided by what type of gas is used. Biogas is virtually clean, considering the complete cycle. Both of these engines will allow trucks to cover more than a 1000 km on full tanks – none of the electric trucks are promising such range on a single charge. Ant they are cheaper, and they are available now. Finally, gas-powered trucks are much quieter than diesel counterparts, which is important because some urban areas already have some strict noise polution regulations. Gas-powered trucks may not replace electric trucks, but it is always good to have alternatives until electric powertrains become industry standard. How does a 100 year old electric truck look like?